Home Blog What Does It Mean to Be Russian? What Is the Russian Identity? Before you begin working your way to foreign language fluency, it helps to understand the culture behind the language you’re learning. After all, language exists to help a group of people express their ideas and beliefs. Russia is a vast country with a rich history and culture. As you begin your Russian language program, gaining a strong grasp on this history, the values, and the etiquette will help you rapidly achieve success. In particular, there is a specific set of characteristics that define the traditional Russian. It should be pointed out that there is even a Russian folktale that appears to show just how people in Russia can feel as though their personalities cover so many disparate angles at the same time. In that folktale, Емеля is both lovable and gullible and just a bit lazy. While his older brothers are considered quite a bit smarter, the tale’s hero gets what he wants in the end, despite not working very hard to get it. The desire to work hard and yet the desire to get things without working hard can certainly be seen in the history of the country. While the government has always encouraged Russian citizens to work as hard as they could, they were also forced to give up what they had created. Why would a citizenry want to work twice as hard as their neighbor, if the fruits of their labor were just going to be taken away by the government or by a Tsar? At the same time, the Russian people have endured one hardship after another and continue to fuel one of the true world powers. This proverb underlines what makes up optimistic fatalism. In essence, it simply means that life is going do what life is going do and we can’t stop it. We have to roll with the punches and just carry on in the wake of whatever happens. At the very heart of this approach is that only outside forces are really going to be able to change your lot in life. It’s a safe bet that at least some of this comes from a government that didn’t want its people to be too unhappy about their lot in life. Because life was pretty hard in Soviet Russia for the average citizen, it would not have been good for those in charge to have to deal with people who wondered why some were getting special treatment while others were struggling to feed their families. The communist regime was supposed to be predicated on the idea that everyone was equal, but the government clearly gave special treatment to those who rose up the ranks in the party leadership. While people in the West are generally considered to operate more based on facts and figures, the Russian culture is one that still heavily relies on emotional responses. 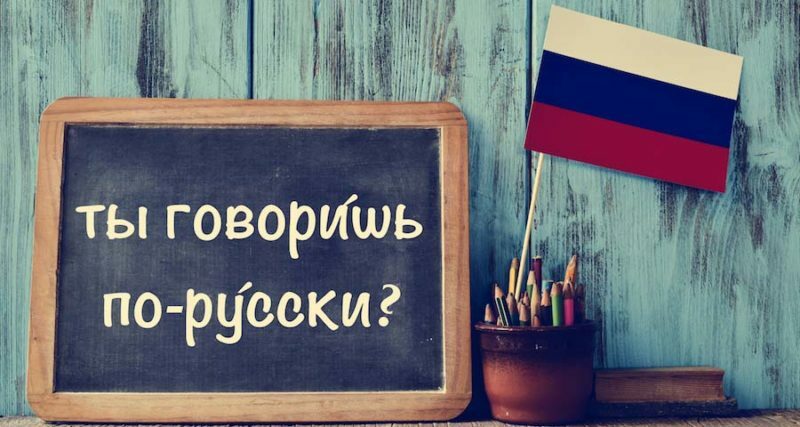 Researchers recently found a way to demonstrate the difference by saying that when Westerners say things like “I think…” a Russian would say “I feel … “ (“Ячувствую…”) There is a reason the Russian language works so hard at describing emotions. It’s because the culture that spawned that languages loves the ability to speak in terms of different emotions, rather than points of view. Russians still say “ядумаю…” (“I think”), but you would hear “ячувствую…”very often. A musician from Russia who is attempting to defect to the United States tells his friend, “Everybody in Russia loves his misery. We haven’t got much else, but each one will love his own misery, watch it grow, and look after it—it is his own misery after all!” It seems as though this is indeed something that is basically celebrated in Russia, thanks to its history as a long-suffering nation with a population of long-suffering people. While most people in the 21st century are quite a bit less superstitious than their ancestors, Russia is a place that still has plenty of “true believers” about a whole host of superstitions. This is especially true when you are talking about the Russian business world. If you are attempting to do any kind of business in Russia or with Russians, there are a few things you should know. Chief among them is that if you try to shake hands with someone at the threshold of a door, you will likely get a very concerned frown. Russian superstition holds that doing a handshake in that location is only going to bring bad luck. There are many, many more superstitions that tend to permeate Russian culture thanks to a wholesale love of all things mystical and magical in Russia. Among other things you should never, ever do is to leave an empty bottle on the table or to whistle while you are inside someone’s home or in a car because Russians believe there will be no money because of that. Pieces of land were then allocated by the state and given to research facilities or factories. The managers were then in charge of the division of the land. Based on the plot distribution, Russians who normally couldn’t afford such luxuries could now purchase their own parcel without having to foot the bill for “дача.” They used “дача” as a weekend retreat to relax and get back to their peasant roots. With “перестройка,” prices skyrocketed and many Russians were left without jobs. Thankfully the vegetable plots on “дачи” provided a means whereby the people could live and survive with the food they grew. “Дача” unifies the various classes of Russia. Although they may be different in stature such as a mansion for some and shabby hut for others, they are obsessed with the place. Similar to the way the British love to garden, the call to “дача” for Russians is like no other. It’s a part of Russia just as their caviar, bureaucracy and vodka. Built approximately 50 years or more ago and with an outdoor toilet, some can’t help but be drawn to the retreats. Talking about how successful you are going to be in a specific endeavor is believed to be a very good way to make sure the opposite comes to be. This is especially true when talking about a future business deal. When talking about positive things that could happen to you, you’re more likely to get what you want should you have been married in the rain, or make a wish while sitting between two people who share the same name. There are many other superstitions along the same lines as these that you’ll need to educate yourself on if you want to have success in Russia.